In January of 1848, James Marshall discovered gold at Sutter's Mill in the foothills of the Sierra Nevada. For a year afterward, news of this discovery spread outward from California and started a mass migration to the gold fields. Thousands of people from the East Coast aspiring to start new lives in California financed their journey West on the assumption that they would be able to find wealth. Some were successful, many were not, but they all permanently changed the face of the American West. 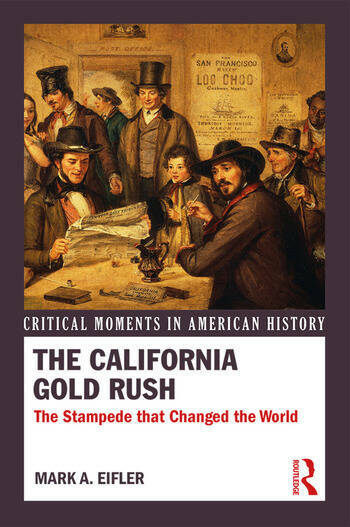 In this text, Mark Eifler examines the experiences of the miners, demonstrates how the gold rush affected the United States, and traces the development of California and the American West in the second half of the nineteenth century. This migration dramatically shifted transportation systems in the US, led to a more powerful federal role in the West, and brought about mining regulation that lasted well into the twentieth century. Primary sources from the era and web materials help readers comprehend what it was like for these nineteenth-century Americans who gambled everything on the pursuit of gold. 1: "Gold on the American River!" Mark A. Eifler is Associate Professor of History and Assistant to the Dean for Communications at the University of Portland.